Neck pain can either be tolerable or not. Chronic neck pain can eventually affect your daily life. 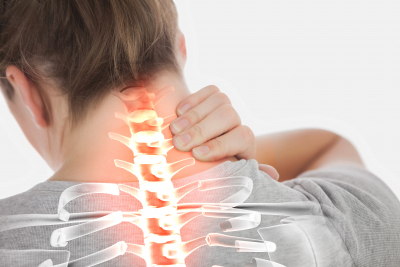 Individuals suffering from neck pain get physical therapy in Brooklyn, New York for relief and treatment. When playing any contact sport, it is important to protect yourself from injuries. To do so, wearing protective gears should be a necessity. Without proper protective gears, vulnerable body parts are exposed, such as the neck, increasing your chances of a neck injury and neck pain. It is always good to invest in quality protective gears. Don’t forget to wear them in every game. A vehicular accident can result in a sudden jolting of the neck, thereby increasing its chances of injury. One of the many causes of vehicular accidents is reckless driving. If you drive too fast or drive drunk, you are just setting yourself up for injury. Making sure that you follow traffic laws will help you avoid injuries that may need physical therapy in Far Rockway for long periods of time. Bad posture can have a negative effect on the neck. Standing, walking or sitting with improper body form can cause neck pains which can be temporary. However, they might turn chronic if you do not address the issues immediately through therapy services in Williamsburg. Exercise makes the body strong. It helps maintain flexibility and overall physical fitness. This does not only apply to the biceps, the abs or the legs but also to the neck. Exercising can help make your neck less stiff and more flexible. Resting is definitely recommended for anyone who has an existing neck injury. This is to avoid further aggravations to the injured body part. If you don’t take a rest, the injury may not heal quickly or can even worsen. When you need Occupational Therapy in Brooklyn, New York,and other similar services, you can count on us to deliver the services you need. Road to Recovery Physical and Occupational Therapy aims to contribute to your overall wellbeing through our services. Contact us today! This entry was posted in Therapy and tagged Neck Pain, Occupational Therapy, Physical Activities, Physical Therapist, Physical Therapy. Bookmark the permalink.